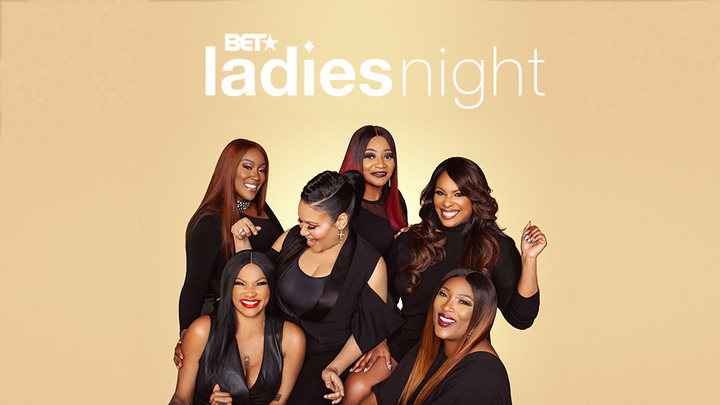 Rap and R&B royalty holds court with the BET premiere of “LADIES NIGHT,” starring SALT-N-PEPA (SNP), DJ SPINDERELLA and SWV. With a legacy spanning over three decades, Salt-N-Pepa has landed their biggest career accomplishment to-date, a Las Vegas residency. While simultaneously preparing for their opportunity of a lifetime, the trio has made the ambitious decision to launch the “Ladies Night” national tour in collaboration with SWV. The stakes are high and reputations are on the line as everyone scrambles to meet expectations and deadlines. We follow along as individual personalities, group egos, personal conflicts and professional obligations all take center stage to discover whether or not the ladies can push it to greatness together. Tune in for the action-packed, drama-filled season of “LADIES NIGHT” starting Tuesday, April 30 at 10:00 PM ET/PT on BET and BET HER. Legendary, groundbreaking, pioneering, trailblazing…so many words can be used to describe the Grammy award-winning artists, Sal-N-Pepa and DJ Spinderella. In the mid to late 1980s, they gave the then male-dominated rap game a makeover when they became the first all-female rap act to accomplish gold and platinum status. That achievement solidified their position in the music industry and inspired generations of female emcees to come after them. With classic hits like Expression, Whatta Man and Shoop SNP is recognized as one of the best-selling female hip-hop acts of all time. Entertainment One Ltd. (LSE: ETO) is a global independent studio that specializes in the development, acquisition, production, financing, distribution and sales of entertainment content. The Company has diversified expertise spans across film, television and music production and sales; family programming, merchandising and licensing; digital content; and live entertainment. Through its global reach and expansive scale, powered by deep local market knowledge, the Company delivers the best content to the world. Entertainment One’s robust network includes international feature film distribution company Sierra/Affinity; Amblin Partners with DreamWorks Studios, Participant Media, and Reliance Entertainment; Makeready with Brad Weston; unscripted television production companies Whizz Kid Entertainment and Renegade 83; live entertainment leaders Round Room Entertainment; world-class music labels Dualtone Music Group and Last Gang; and award-winning emerging content and technology studio Secret Location.